The Big Island of Hawaii is known for its sunny weather, great beaches and many other natural attractions including amazing Kilauea Volcano in Volcanoes National Park. When you stay in a Big Island condo you are close to great dining, shopping, beaches and entertainment with everything you need for a luxurious and relaxing Hawaii vacation. The Big Island offers a wide range of activities from volcano viewing to hikes through tropical forests and water activities at white sand beaches. Fishing charters departing from Kailua-Kona go after some of the world's biggest prize game fish including marlin and swordfish. You can also enjoy snorkeling and scuba diving excursions, sunset sails and whale watching during the winter months. Other Big Island activities include ATV and horseback rides over the rolling ranch lands, golf at championship courses all around the island, and helicopter tours to see it all from above. Drive up to the summit of Kilauea Volcano to take in amazing crater views including steaming cauldrons and the formidable Halemaumau Crater. Along the 11-mile Crater Rim Drive you can also stop in at the Volcano House, Kilauea Visitor Center and Jaggar Museum to learn more about the park's natural wonders. 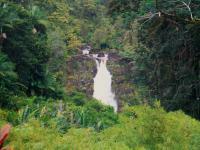 Visit nearby Hilo town where you can see the thundering Rainbow Falls and take a drive along the scenic Hamakua Coast to see the 442-foot Akaka Falls and the steep-walled Waipio Valley. 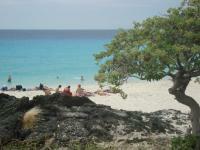 The Big Island has exceptional beaches all around the island from the Kona and Kohala coastlines to Hilo town. Kahaluu Beach is a nice snorkeling beach located in Keauhou south of Kailua Village where you will often see Hawaiian green sea turtles. Nearby is the lovely Laalao Beach with picnic facilities and a lifeguard station. To the north along the Kohala Coast is the picturesque Hapuna Beach which is the Big Island's biggest white-sand beach and also great for picnics with facilities and lifeguards. In Hilo a nice family beach is Onekahakaha Beach Park with a sandy bottom and shallow waters near shore making it good for children. This beach also has great views of Hilo Bay and fun tidepool exploring. Another shallow-bottomed beach which is nice for snorkeling is Lelewi Beach Park with picnic pavilions, facilities and the Richardson Ocean Center. This is just a sampling of the many beautiful beaches you will find on the Big Island. The Big Island offers a wealth of dining choices with something for every taste and budget. Some of Hawaii's finest chefs reside here cooking up innovative culinary creations including the famed Hawaii Regional Cuisine which emphasizes the use of fresh local fruit and vegetables as well as fish, lobster and other locally caught seafood. On the Kohala Coast the renowned Roy Yamaguchi runs Roy's Waikoloa Bar & Grill serving up fine Pacific Rim cuisine with a European touchthe blackened ahi is superb! In Waimea town to the north is Merriman's Waimea run by a founder of Hawaii Regional Cuisine, Peter Merriman, who utilizes the freshest of island ingredients in his memorable menu items. There are many fine restaurants in the resort areas along the Kohala Coast and Kona Coast as well as in Kailua-Kona including Historic Kailua Village. Weekly Farmers Markets are held on different day in towns all around the Big Island including Waimea, Kailua-Kona, Honokaa, Waikoloa, Volcano, Pahoa and Captain Cook. These are great places to sample a range of exotic fruits and fresh vegetables as well as meet farmers and sample prepared food from the variety of vendors. Boutiques and art galleries are plentiful on the Big Island in the posh resort areas as well as the many small towns and the more populated areas in Hilo and Kona. In Historic Kailua Village the Big Island's many local artisans have created a thriving arts and culture scene offering hand-crafted products that include woodwork, glass and exquisite jewelry. In Kona Coffee Country you can find unique coffee-related gifts as well as fresh-roasted coffee beans. In Keauhou town the Keauhou Shopping Center has boutique gift shops as well as jewelry, art galleries, a movie theater, pharmacy and more. The Big Island resort areas along the Kona Coast and Kohala Coast also have some exceptional shopping opportunities including the Kings' Shops and Queens' MarketPlace at Waikoloa Resort. To the north in Waimea town stop in at the Parker Center for more interesting shops to browse. To get around during your stay on the Big Island a rental car is highly recommended so you can visit different areas from Hilo and Kona to Volcanoes National Park. Island bus transportation is free, and available between Hilo and Kona every day except Sunday with numerous other stops around the Big Island. The Big Island enjoys sunny weather and pleasant temperatures in the high 70s and low 80s F. throughout the year with the Kona Coast and Kohala Coast located on the drier western side of the island and the Hilo side seeing more rain which creates its lush, tropical landscapes and slightly cooler temperatures. Evening temperatures may drop about five to ten degrees. Higher elevation areas like the summit of Kilauea Volcano at Hawaii Volcanoes National Park and the mountainous regions of Kona Coffee Country see slightly cooler temperatures though during the daytime these areas also are typically quite warm. For much of the year the Kona Coast and Kohala Coast have fairly calm waters great for swimming and other activities, as do other areas of the island. Ocean conditions on the Big Island can change from day to day and through the seasons, however, and intermittent swells can bring big surf and strong currents including winter swells from the north and summer swells from the south affecting the respective coastlines. Some beaches are more protected than others from the open sea providing good areas for snorkeling and other beach activities. For swimming and water sports visit lifeguarded beaches and check with the water safety personnel about the safest areas for the ocean activities of your choice. Lessons and guided tours are also a great way to stay safe during your adventures and benefit from local knowledge. A Big Island condo provides the optimal way to enjoy your Hawaii vacation with all the luxuries of resort living and the comforts of home. From vibrant Historic Kailua Village in Kona town and the posh Kona Coast and Kohala Coast resort areas like Waikoloa, Mauna Lani and Mauna Kea Resort, we have Big Island condos in all of Hawaii's most desirable destinations. Browse through our Big Island condo rentals to get an understanding of the different amenities and property features we offer. Our goal at Hawaiian Beach Rentals is to provide you with an unforgettable place to stay on your Hawaii vacation. We take pride in having the largest selection of high-quality Big Island condominiums and we stand behind our product, making sure only the best Big Island properties are listed on our website. If you have any questions about condos on the Big Island or which area is best for your Hawaii vacation please give us a call and we will be happy to assist you. See below for an overview of some of the Big Island's finest condo resorts. The Big Island is home to many important Hawaiian cultural and historic sites including the formidable Puukohola Heiau built by King Kamehameha I on the Kohala Coast as part of his goal to unite all the Hawaiian Islands under his rule. In south Kona on the shore of Kealakekua Bay is a monument that marks the spot where British explorer Captain James Cook died. Nearby is the ancient sacred place of refuge known as Puuhonua O Honaunau where you can take a self-guided tour of the preserved and restored Palace Grounds and Great Wall. Another great way to learn about the history of this region is to take the guided Historic Kailua Village Walking Tour offered by the Kona Historical Society. Wyndham Royal Sea Cliff is a beachfront resort near the village of Kailua-Kona and featuring larger-sized units with kitchenettes and optional ocean views. Amenities include free parking, high-speed internet, elevators, two outdoor swimming pools, hot tub, a tennis court, ping pong, picnic and barbecue area and an organized activities program. Outrigger Kanaloa at Kona is a beachfront condo resort located in a quiet, residential area overlooking Keauhou Bay on an eighteen-acre seaside property with lush, tropical landscaping. Amenities include three swimming pools, two tennis courts and a fitness center as well as close access to great dining and shopping at Keauhou Shopping Village, with historic Kona town just a few miles away. The resort offers one and two bedroom suites with full kitchens, washer/dryer, free parking and free high-speed Internet access in all units as well as in the pool area and lobby. Golf nearby at the Kona Country Club. Aston Kona by the Sea is an intimate, beachfront resort located just south of vibrant and historic Kailua-Kona town. Kona by the Sea offers spacious suites and great ocean views, fronting a sandy, lounging area. Amenities include kitchenettes, free parking and internet access and a swimming pool. Holua Resort at Mauna Loa Village offers spacious, air-conditioned villas with upscale Hawaii-themed decor and private lanais with views of either the mountains, golf course or ocean including views of Keauhou Bay. Holua Resort features one and two bedroom villas. Amenities include air conditioning, barbecue areas, covered parking, laundry facilities, 11 tennis courts, fitness facility and extensive tropical landscaping including fountains and lava rock pools. Close to the Kona Country Club with 36 holes. Nearby is Keauhou Shopping Center with many dining and shopping options as well as entertainment. Kona Coast Resort is set on 21 acres of lush, tropical landscaping on the Big Island's scenic western shore. Villas feature air conditioning and full kitchens. Amenities include two swimming pools including a children's pool, three jacuzzis, a sauna, tennis courts, playground area, fitness center, volleyball, and numerous on-site activities from dive instruction to hula dancing. Villas have private lanai or patio with tropical garden or ocean views. Casa de Emdeko is a beachfront condo complex in Kailua-Kona on the famed Alii Drive about two miles south of Kailua Village. Amenities include kitchenettes, free high-speed internet access and parking, shuttle service, tropical landscaping, an oceanfront swimming pool and beach activity equipment with a sandy, beachside sunning area. Waikoloa Beach Resort Fairway Villas are located along the lush fairways of the Waikoloa Beach Course in a gated Hawaiian plantation-style resort area that is among the most prestigious vacation destinations in this region. Amenities include upscale decor, furnishings, kitchen appliances, free WiFi, washer/dryer, infinity edge pool, hot tub, fitness centers, barbecue/picnic area, covered parking and close access to beaches, dining, shopping, and cultural attractions. Fairways at Mauna Lani is located in a luxury gated community on the Kohala Coast at Mauna Lani Resort. Set alongside the Francis H. Brown North Golf Course, the Fairways at Mauna Lani are nestled on 20 acres between the posh Mauna Lani Bay Hotel and the Fairmont Orchid. Amenities include upscale, tropical decor, state-of-the-art kitchen appliances, washer/dryer, a swimming pool with waterfall, fitness room, spa and private garages. Close access to golf, tennis and beach activities. Kahaluu Beach Villas is a relatively new beachfront condo on Alii Drive. Condos are designer decorated with air conditioning, plasma TVs, Bose surround sound and more. Amenities include free high-speed internet and parking, an infinity pool, gas barbecue, spa and tropical landscaping. The beach is the across the street offering great snorkeling and other ocean activities. Restaurants, shops and a grocery store are within walking distance. Golf nearby at Keauhou Golf Country Club. Hale Kona Kai Condominiums on the Kona Coast is a quiet and relatively small boutique oceanfront condo complex featuring upscale, full-sized kitchens, air conditioning, free high-speed internet access, private lanais, a swimming pool, free parking. Walking distance to nice swimming beaches. Dine next door at Royal Kona Resort or walk ten minutes to vibrant Kona town. Kona Reef Resort is an oceanfront condominium resort located close to a sandy beach in historic Kailua-Kona close to great dining and shopping. Amenities include one and two bedroom suites, garden or ocean views, oceanfront swimming pool, jet spa, free internet access and parking, and cabana with barbecue area. Outrigger Royal Seacliff offers residential-style condos with full kitchens and washers/dryers. Set on an oceanfront bluff about one mile from Kona town, Outrigger Royal Seacliff is built in a terraced design to maximize privacy. One and two bedroom suites as well as studios provide the right accommodation for your needs. Amenities include a pool, free WiFi and guest parking, and tropical landscaping. Waikoloa Villas is located along the Village Golf Course in Waikoloa Village on the Big Island's Kohala Coast. Amenities include free WiFi, swimming pools, jacuzzis, cabana, barbecue areas and shuffleboard, golf course and ocean views. Close to great shopping and dining including Waikoloa Village Shopping Center, and minutes from Waikoloa Kings and Beach golf courses. Waikoloa Fairways is located in Waikoloa Village close to the Big Island's sunny Kohala Coast beaches. Amenities include swimming pool, hot tub, barbecue areas, assigned parking, tennis courts and gated access. Close access to dining, shopping and championship golf. 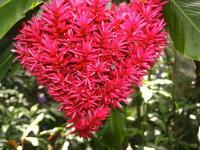 Please browse through the Hawaiian Beach Rentals condo listings on the Big Island of Hawaii. In Kona are Outrigger Royal Seacliff, Kona Coast Resort, Lunapule Kona, Alii Villas Resort and Keahou Kona Surf & Racquet Club, Kalani Kai, Keauhou Akahi, Kona Makai, Kona Bali Kai, Country Club Villas, Keauhou Palena, Kona Pacific, Casa de Emdeko, Alii Villas, Kona Alii, Kona Riviera Villas, Kona Mansions, Keauhou Punahele, Na Hale O Keauhou, Hui o Kulia at the Kona Reef, White Sands Village and Sea Village Condominiums. Also offered by Hawaiian Beach Rentals in Kona are the Sea Village Condominiums, Holualoa Bay Villas, Kahaluu Beach Villas, Hale Honu at Surf & Racquet Complex, Kona Reef Resort, Hale Malulani - Kahaluu Beach Villas, Mauna Loa Village, Mauna Loa Village at Honua Resort, Hale Malia at Kona Plaza, Kailua Bay Resort, Alii Cove and Aston Kona by the Sea. In Keauhou are the Outrigger Kanaloa at Kona, Keauhou Punahele Resort, Keauhou Resort and Outrigger Kanaloa at Kona. In the Hualalai area are Haleipua at Hualalai Four Seasons Resort, Hualalai Golf Villas, Hainoa Villas at Hualalai Resort, Wailua Villas at Hualalai Four Seasons Resort, Fairways at Mauna Lani Resort, Golf Villas at Mauna Lani Resort, Mauna Launi Terrace and Villages at Mauna Lani Resort. In Mauna Kea are Waiulaula at Mauna Kea, Kumulani at the Uplands, Golf Villas at Mauna Lani, Fairways at Mauna Lani, Mauna Lani Terrace, Villages at Mauna Lani, Mauna Lani Terrace, Kulalani at Mauna Lani and Palm Villas at Mauna Lani. In the Waikoloa area are Halii Kai at Waikoloa Resort, Vista Waikoloa Condominiums, Waikoloa Colony Villas, Waikoloa Villas, Waikoloa Village Condos, Bay Club at Waikoloa Beach Resort and Outrigger Fairway Villas. In Waikoloa Village are Waikoloa Fairways, Waikoloa Greens, Waikoloa Hills, Waikoloa Villas and Kolea at Waikoloa Beach Resort.